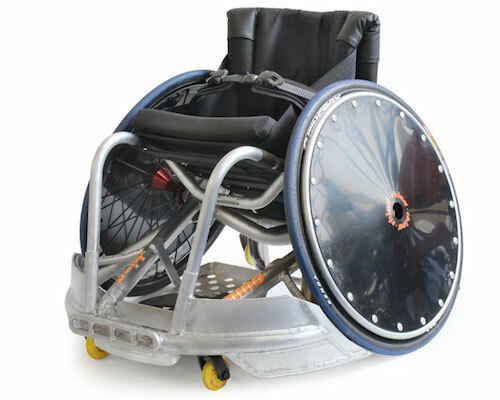 The Melrose Rhino Rugby Wheelchairs, are custom fabricated after careful consultation with the athlete. They are all manufactured to comply with International rules of the IWRF. Melrose Rugby wheelchairs are built by highly experienced fabricators who are working for a company that has over 16 years involvement in the sport. all our rugby chairs have spoke guards, to prevent spoke damage, and to make it more difficult to stop and hold. Offensive chairs with various wing alternatives or defensive chairs with variations of pickbars can be built. Melrose offers a Heat Treatment option for our aluminium rugby frames, this process changes the structure of the aluminium and is said to increase strength. Contact us for the cost of this process.